Bellona.org > Latest News > Climate change > International climate conferences > The EU CCS renaissance – what’s brewing in Central Europe? The EU CCS renaissance – what’s brewing in Central Europe? PRAGUE – Late last week, in the distinguished company of people like Czech climate and environment legend Bedrich Moldan, I had the honor of addressing the Czech Senate in the context of the upcoming Paris global climate summit COP21. Perhaps the audience was just being deferential toward the speakers, but there was no trace of the climate-skepticism many have learned to expect from certain Czech Members of European Parliament. What I felt rather was a sense of optimism, which I have not seen much of in Brussels or Western Europe of late. Talking about expectations for COP21 is quite a challenge as the range of topics one could cover is virtually endless. The struggle against climate change is touching on so many aspects of life, and touch different people in different ways. I chose to focus on the two elements I believe to be the keys to raising the world’s ambition level: technology development, and fair finance. The run-up to COP21 has been very different from past approaches toward getting a ‘global agreement’. There is broad agreement that the COP15 conference in Copenhagen, now six years past, was a failed attempt to secure a top-down agreement covering most big emitters. Disappointment – even disillusionment and ridicule – were omnipresent. The world’s climate experts in the Intergovernmental Panel on Climate Change, in their latest assessment report, AR5, 2014, have provided some very stark warnings about the direction the world is going. With ever more extreme weather, the world is already having some catastrophic previews. The IPCC remains clear that to avoid truly disastrous consequences, we must keep warming within a 2 degree Celsius limit. That means limiting CO2 concentrations in the atmosphere to 450 parts per million. The world average just passed 400, and counting. AT COP21, countries have been asked to make voluntary pledges – and to the astonishment of many, most have. At last count, 166 countries that account for 93 percent of global greenhouse gas emissions had publicized their commitments. No one will be surprised to hear they don’t add up to what’s needed. According to the latest projections, these commitments are on track for something more like a 3 degrees warming scenario. And truth to tell, no one will be surprised to hear that the outcome of COP21 doesn’t provide guarantees for limiting global warming to 2 degrees. Yet as it looks, there will be a five-year review period, and that provides the hook we need. COP21 won’t be the climate end game. In the best case, it may provide us with a framework and the tools to enable real ambition and action. So again: from Paris onward, technology development and fair finance will be the keys. In Bellona, as a solution-oriented environmental NGO, we have a slogan: ‘Seeing is Believing‘. Technology can change the world rapidly, for better and worse. But let us be clear: We know today that we have available technologies than can address the climate challenge. However, for world leaders to make the choices we desperately need them to, we need to provide increasing clarity on the optimal role of various solutions, and how we can drive down the cost. The case of solar energy showed perhaps more clearly than any other development how costs can be driven below all expectations through rapid scaling of deployment. A few years ago, solar energy was not considered a true alternative in developing economies; now, it proves a competitive and attractive option in many cases, especially for smaller communities. That encouraging and a strong reason for hope that a similar development can be realized for other renewables, including ocean energy, and not least for energy storage technologies such as batteries. 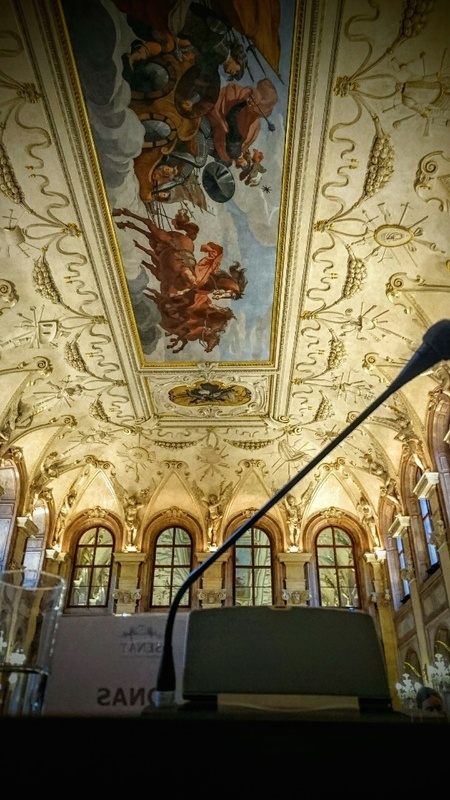 In the Czech Senate, I spoke about CO2 Capture and Storage (CCS), a large-scale climate technology Bellona has promoted for more than two decades. Capturing CO2 from a wide range of industries for permanent geological storage will be crucial, not least for those industries where renewable alternatives are not available. But, in light of continuing growth in coal use worldwide, as well as the ongoing lock-in of huge power-sector emissions for decades ahead, we will need CCS across the economy. With the IPCC’s climate science experts now being crystal clear on the urgent need for rapid deployment of CCS, and stark in their warnings that the world cannot meet the challenge without it, the slow progress in uptake is a major cause of concern. As with other technologies, the first few large-scale projects will start driving down costs rapidly. 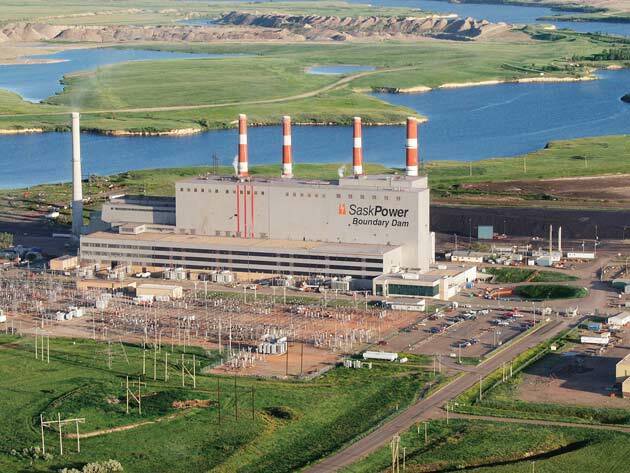 Last year, at the opening of the world’s first full-scale coal plant with CCS at Boundary Dam, Saskatchewan, Canada, engineers confirmed they could bring their next project online or 30 percent less. Yet in Europe, several CCS projects have been canceled and there are no final decisions on those still in the pipeline. Largely this has been due to a flawed financial framework – known as the EU Emission Trading System, ETS – and a strong focus on short- to medium-term climate action, to the detriment of long-term strategic planning. That must change lest EU leaders are making choices today that risk saddling society with huge costs and even rendering Europe unable to maintain climate ambition and leadership later. So far, only the UK’s Department of Energy and Climate Change (DECC) has done its homework in this space under the leadership of its former Secretary Ed Davy, through thorough analysis of how 2050 targets could be reached cost-efficiently. Thankfully, these realizations now seem to be trickling through to several EU governments. In Prague, I shared a panel with Anders Wijkman, former MEP and now Chairman of the Swedish government’s taskforce for environmental objectives. A highly competent politician with long experience with climate and environment, Wijkman, acknowledged that his initial skepticism toward CCS has been replaced by realization that, at the very least, for energy-intensive industries, CCS would be a must for Sweden. And, as he pointed out to me, his task of mapping a decarbonized future for Sweden by 2050 is a “tall order.” CCS will also be needed for biomass to yield negative emissions. Wijkman gave a strong presentation touching on many of the same elements as mine, with finance and technology as key elements, but added the gravitas of his decades dealing with the environmental and climate in a political context. His leadership bodes well for Sweden taking a stronger role in strengthening the long-term climate work of the EU, which Bellona would greatly welcome. The statements from the Czech govt. representatives in the Prague panel were equally encouraging. Notably, they did not take it amiss when I pointed out that the Czech discourse around “clean coal,” in which “efficient” new-build coal plants (that is, those that are more efficient than the ones the communists built) are framed as a way forward “because there’s not yet any CCS-technology available for lignite” is false and misguided at best, and proven as such by Boundary Dam. When I pointed to the potential to coordinate complementary existing and upcoming EU funding schemes for CCS deployment, including the cohesion funds for which the Czech Republic is eligible, the present politicians showed clear interest. Again, getting the right financial frameworks in place for technology deployment, which in turn drives down costs thus aiding increased ambition, is really what Europe and the world needs to meet the climate challenge. A possible additional Norwegian contribution through the EEA grants could make a Czech CCS project nearly fully financed if EU funds were well coordinated. One week before the Prague event, I was in Belgrade, Serbia. As a non-EU country, one might expect Serbia to be less relevant for Bellona’s EU CCS-work than the Czech Republic, but the contrary might yet prove true. 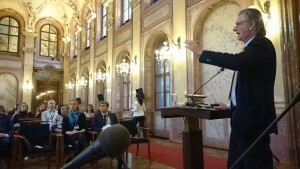 I spoke in Belgrade at a workshop co-hosted by the Serbian government and the Global CCS Institute. Serbian Energy Minister Aleksander Antic opened the session and I must admit I was astonished to hear how serious the Serbian government takes the climate challenge, and how it approaches that challenge in a holistic way in which energy security concerns as well as energy costs are taken into account. Those three factors are what we call the energy trilemma, but technology can help bridge the contradiction between the three concerns. Renewable technology and energy efficiency are obvious elements, but in most countries, CCS will also need to play a key role both for energy and other industries. Antic strongly acknowledged this, and it appears clear that the current Serbian government’s EU integration policy is a major driving force behind its ambitions. 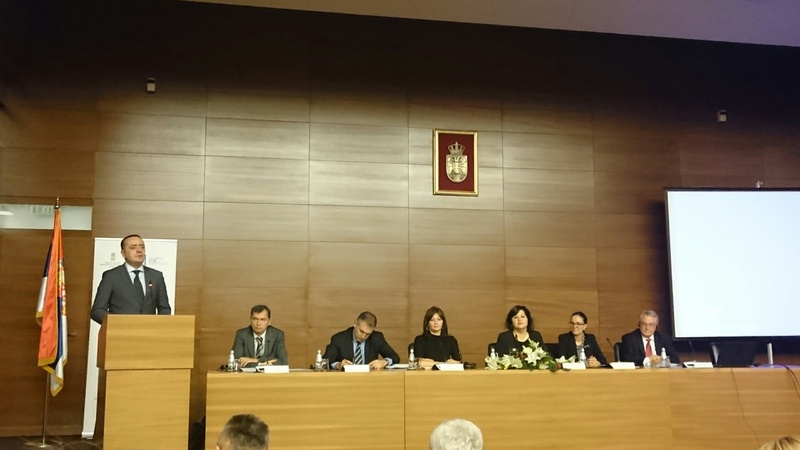 In Belgrade, I presented ZEP’s new EU CCS plan (which was presented in the European Parliament in Brussels on the same day), and the Serbian reaction was clear: they wish to play their part to make the plan succeed. The EU would do well in honoring the Serbian ambitions with some of its own. Serbia and its Balkan members, most of which are EU member states, have the unique benefit in CCS context that they both have some experience and substantial potential for onshore enhanced oil recovery (EOR). Until the EU ETS can provide a business case for permanent storage of CO2, it is but a “wergild” for emitters while massive emissions keep entering the atmosphere. In the Balkans, notably in Romania, Serbia, Hungary and Croatia, EOR combined with CO2 storage could become a major business as it seems on track to in parts of North America, thus avoiding huge emissions. Several US experts were in Serbia for the occasion to share their experience and knowledge on the topic, including Kerry Bowers of Southern Generation Technologies, a subsidiary of US power utility Southern Company. Southern Company is currently in the final stages of building the world’s biggest CCS project so far, the Kemper Project in Mississippi. 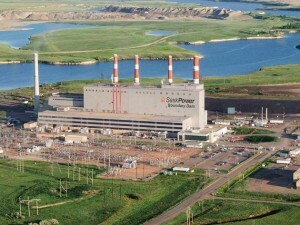 With support from the US Department of Energy (DoE), this plant will capture massive amounts of CO2 from a coal plant that in addition has net zero water consumption. Once built, EOR will enable the plant to operate on a commercial basis. The EU could do well to ensure that finance is made available for cash-strapped countries on the Balkan that have a potential to commercialize CCUS – or CO2 Capture, Utilization and Storage. If they succeed, they would greatly aid Europe in driving down the cost of a climate technology it and the world desperately need. With Western Europe’s electricity market in a stew, with most Member States cash-strapped, and an ETS that will not deliver for many years to come, any effort involving outside interest and investment should be welcomed. While Serbia is not a member state, it has signed the European Energy Community treaty, which along with broader integration efforts could provide a basis for collaboration. Border-crossing projects with EU neighbors would be a way to access EU regional and other available funds to this end. The world needs every good effort in this field, and Serbia’s aspirations to be in the vanguard should be encouraged as much as possible. Jonas Helseth is the director of Bellona Europa.